Behavior management charts provide an easy way to manage your classroom. 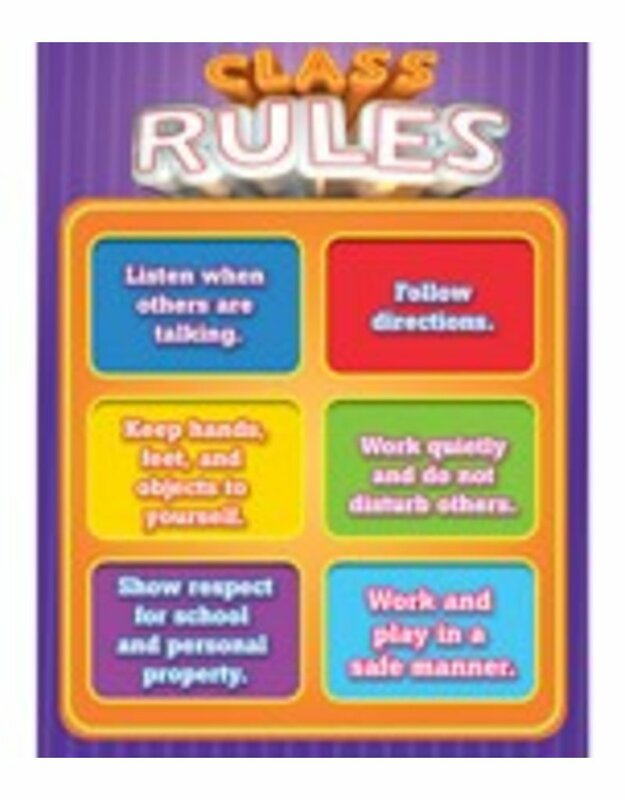 The 17" x 22" Class Rules chartlet displays 6 simple rules for maintaining a peaceful and productive learning environment. An excellent way to provide rules in the classroom for a successful school year, Carson-Dellosa’s behavior charts are perfect to place anywhere in your classroom to give students a year-round reference. Check out other coordinating chartlets and accents to create a calm and cohesive classroom.